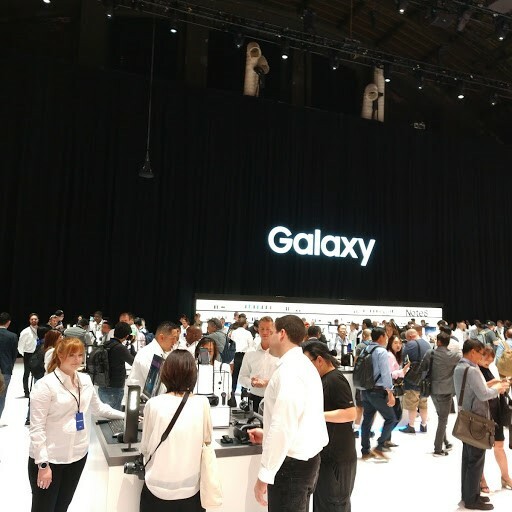 Counterpoint Research attended the Samsung Unpacked Note 8 launch event held in New York City. Typical of recent Samsung events, the launch was emceed by mobile chief DJ Koh, witnessed a lot of bling, and was well attended by both media and partners of Samsung. Key question for Samsung: Will the company turn the page from last year’s safety and battery issues with a product that will bring back flagship consumers? One change right out the gate for Samsung is the target audience. 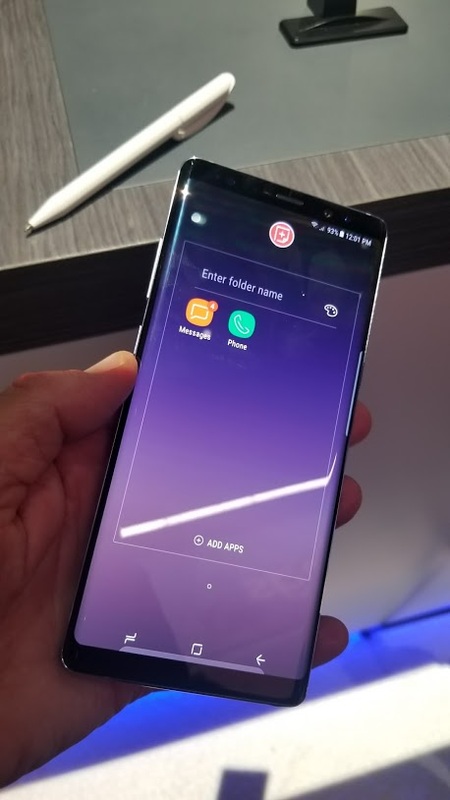 Last year, the Note 7 was clearly targeted at B2B power users emphasizing its KNOX mobile security, silos of business – personal usage, and authentication (iris, fingerprint, password). B2B was not uttered this year as the target audience is a simpler one, ‘those who want to do more, do bigger things’. As B2B continues to trend towards favorite flagships, the marketing switch seems safe and appropriate. Simplified, Samsung is attempting to separate itself from the crowded field of large display options. Samsung’s twist is improving users’ communication and ‘power usage’ by merging a best-in-class S Pen with its best-in-class ‘infinity’ display. The Display: Impressive 6.3” Quad HD+ Super AMOLED ‘infinity’ display. Other stats include 2960×1440 resolution making for 521ppi. The aspect ratio is 18.5 : 9. No doubt, the display is beautiful. Impressive engineering feat getting the 6.3” display into a 162.5×74.8×8.6mm body. But, Samsung has done it before getting the 6.2” GS8 Plus into a 159.5×73.4×8.1mm frame. The look and feel of the two are different as the Note 8 has a flat top & bottom, which actually helps keep the large device comfortable in-hand. The Camera: A lot of what was introduced is in the market today. However, improvements never stop in areas such as low light photography, image stabilization, and pre/post photo editing. What is new on the Note 8 is that both rear 12Mpix cameras have OIS capabilities. This should help on both still shots and video. Demos were impressive of the combination use of the wide-angle auto focus ‘dual pixel’ sensor and the telephoto auto focus sensor. In practice, this means the device snaps two photos with two focal points. Thus, giving the user the ability to zoom in on a segment of the photo or pan out to a wide angle. Samsung has its own ‘bokeh’ effect, which can be adjusted pre & post shot. Time will tell just how good the low-light and overall performance is, but it appears the Note 8 will be heralded as a top or near the top shooter. Fingerprint sensor under the glass. Rumored but not in the cards this go-round. The fingerprint sensor is located on the back next to the dual cameras. For right-handed use, that will be a long stretch. 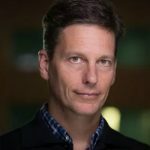 AR VR improvements: For gamers and AR-VR fans, there is nothing new to see here. The display resolution does not drastically improve the performance. In fact, the larger size Note 8 will not fit older headsets. There was not a compelling game or use case demoed, which will be a disappointment for AR-VR development. Samsung DeX, using your Note 8 as you PC, has seen limited improvements. There are new partner apps continually being added. One, being the zoom app for video conferencing. One can now use without the need to take out of its case while docked, too. However, if you were not a believer in its use case before, you will not be enticed (yet). Bixby (AI assistant): The short answer is Bixby is improving but behind. It is available in select countries, for starters. Two good demos showed potential use cases: ‘Good night’ can be programed to set device in ‘do not disturb mode’, turn on blue light filter, and set an alarm. Or, ‘Food photo’ can be used to program device to launch the camera, take a photo, move photo to a food folder. Price & availability: Pre-orders begin August 24th and first availability September 15th. US carriers have announced pricing between $930 and $960. T-Mobile has an interesting twist of $210 down payment and then $30 monthly installments. This may be a way to bring down monthly EIP sticker shock. Or, carriers may just tack on longer payoff periods, which is not a terrible option as it keeps users on the hook and less likely to churn for a few more months. With the endless rumors of (high) iPhone pricing, $950 sounds, almost, like a value?? The Note 8 will benefit from a launch during a large Q4. In addition, Samsung may be handing out more marketing dollars for this large upgrade quarter. Samsung will attempt to take the fight to Apple during their launch period and not allow the company to run unopposed through Q4. Previous Note series have performed well averaging almost 20m lifetime units. There certainly remains a loyal fan base. In addition, we remain in an era where it is hard for OEMs to clearly differentiate themselves. The Note 8 does as much as we have seen to move the hardware / software needles. The Note 8 does enough to finally allow Samsung to turn the page on last year’s safety issues as the Note 8 is the new Android aspirational smartphone.